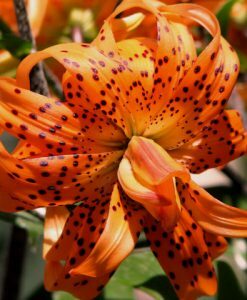 Tiger Lily Bulbs Humming birds love Tiger Lilies! At maturity, stems grow to 4-foot-tall. Pproducing 15 or more 2 inch wide flowers. Covered with green, lance-shaped leaves. Mid to late summer blooms with petals curling backwards. 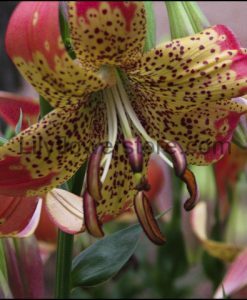 In addition, flowers can be many colors with black spots. No fragrance. But beautiful!